Households across South Northamptonshire are being urged to recycle more of the 45 million items of metal packaging used in the region each year. South Northamptonshire Council (SNC) has teamed up with Aluminium Packaging Recycling Organisation (Alupro), an organisation representing the metal packaging manufacturing industry, recyclers and fillers, to launch the ‘MetalMatters’ recycling campaign across the district next month. The campaign aims to raise awareness of the importance of metal packaging recycling, to increase the amount collected from households and reduce the costs for dealing with household waste. Cllr Dermot Bambridge, SNC’s portfolio holder for environmental services said: “Over a year, the average household uses approximately 600 food tins, 380 drink cans, 27 aerosols and 182 foil trays. “Every metal can that is recycled saves enough energy to power a television for four hours. 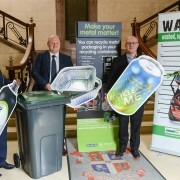 The campaign includes leaflets which will be sent to each of the 38,000 households in the area detailing the importance of including used metal packaging in their blue recycling bin and a series roadshows across the district. Residents are reminded that aerosol cans, drink and food cans, aluminium trays and wrapping foil, can all be recycled via their blue wheelie bin. 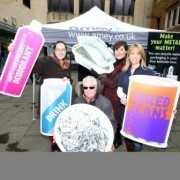 An interactive A to Z of what goes where can be found here – http://www.southnorthants.gov.uk/wasteandrecycling.htm. 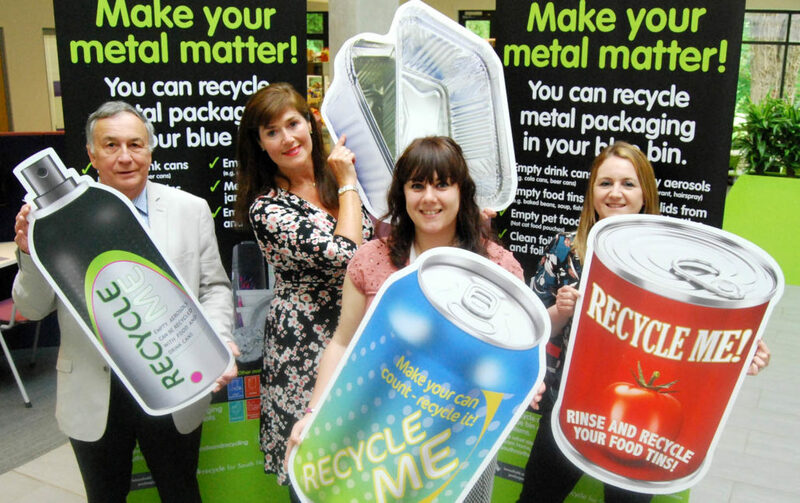 The MetalMatters campaign is jointly funded by an industry partnership comprising the UK’s leading producers, users and recyclers of metal packaging and South Northamptonshire Council. For more information visit – http://metalmatters.org.uk/, or for more information on waste and recycling in South Northants visit – http://www.southnorthants.gov.uk/wasteandrecycling.htm.